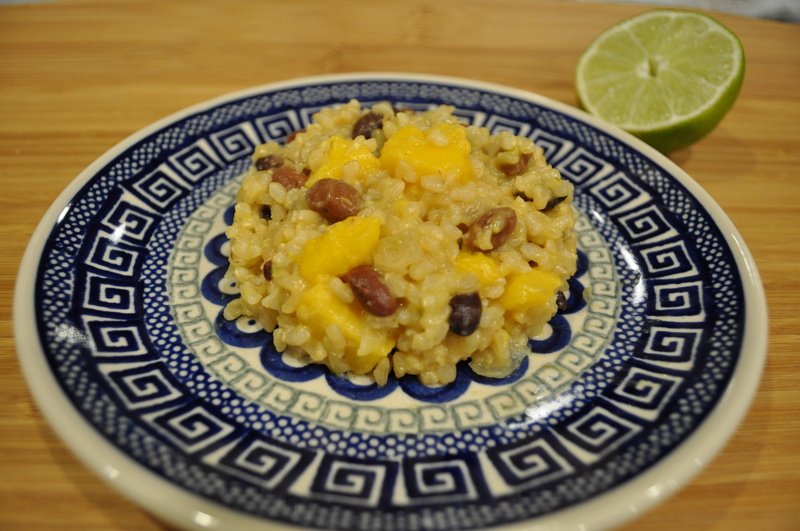 Coconut-Lime Rice with Red Beans and Mango – Got Nourishment? Looking for a quick and delicious meal? Go no further! This rice dish can be used as a side or as a main dish. The creamy coconut milk and lime juice pair perfectly with the slightly chewy brown rice and zesty lime. Not to mention that the pairing of rice and beans makes a complete protein! A complete protein you ask? This means that the dish contains all the essential amino acids, meaning that they are an essential part of our diet. Rice and beans are called complementary proteins because together they contain all the essential amino acids. Some other fun complementary proteins are peanut butter on toast, hummus on pita bread, and yogurt with nuts. The combos are endless! You don’t have to worry about eating complementary proteins in one sitting. As long as you eat them in the same day, your body can combine the proteins. Yay body! Single foods that are complete proteins are animal products, such as meat, eggs, milk, and cheese. Rinse to remove starch from the surface and decrease stickiness. To give the rice a nice toasty flavor. Mise en place. Everything in place! Voila! Forgot to buy cilantro…oops! Rinse the rice under cool water. Heat oil over medium heat in a large soup pot. Add the shallots or onion and saute until they start to brown in some spots, about 3 minutes. Add the ginger and saute for 30 seconds until everything smells choice. Add the rice and keep stirring until the rice starts to smell slightly toasted, about 2 minutes. 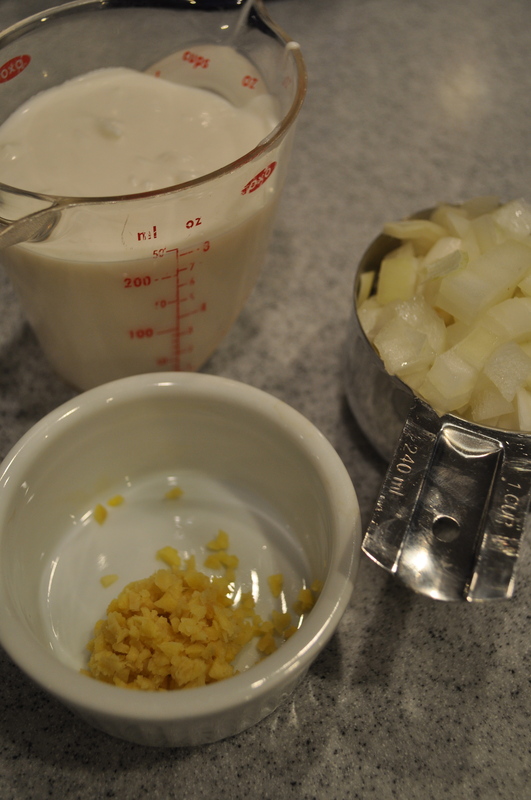 Add the coconut milk, broth, salt, and cayenne pepper and bring to a simmer. Give the pot a quick stir, cover, and reduce heat to low. 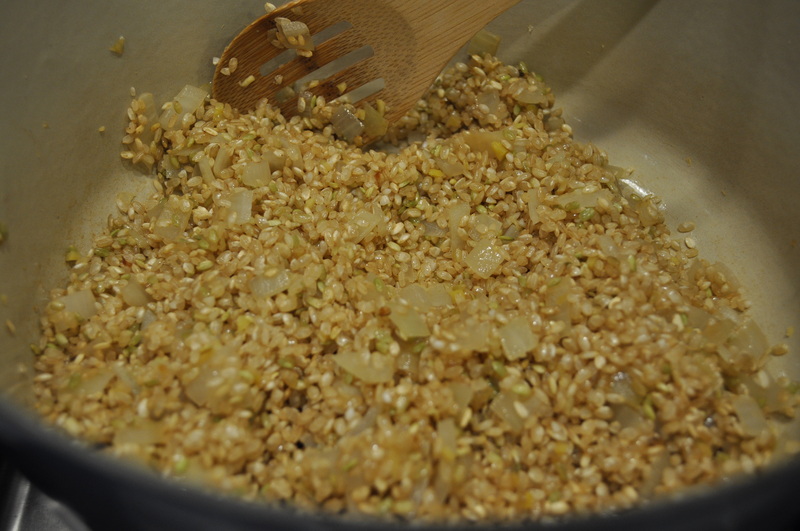 Simmer for about 40 minutes or until liquid is absorbed and rice is tender. 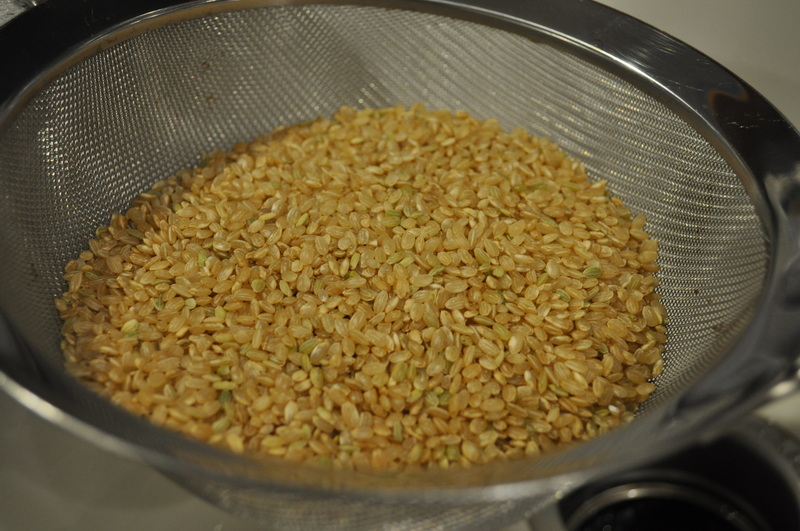 If your rice isn’t done by the time the liquid is absorbed, add a little more broth or water. While the rice is cooking, chop up the mango into bite-size pieces. 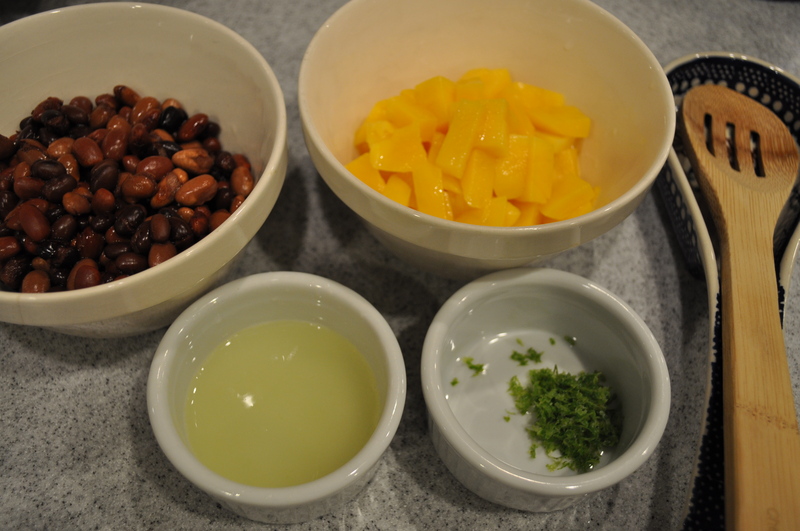 When the rice is tender, fold in the beans, lime zest, lime juice, and mango. Let cook for another minute or so until everything is warm. Serve topped with cilantro or green onions. Hi there, how long do you think this will keep in the fridge? Hi Erin! I apologize for my delayed response! You could definitely try freezing this. The texture of the rice may become crumbly, but it’s definitely worth a try. I would love to hear how it holds up in the freezer if you do try it!